Dinner guests Wednesday were treated to an emotional acceptance speech by Rob Shibata for CalFlowers 2015 Distinguished Service Award on behalf of his father, Mt. Eden patriarch Yoshimi Shibata (link to release). CalFlowers members also received an annual report on the state of their organization - as healthy as ever! Five charter buses escorted almost 300 attendees to a day of behind the scenes at Monterey area grower members: CallaCo, California Pajarosa, CamFlor and Green Valley Floral. Attendees converged mid-day at Kitayama Brothers for a beach-themed luncheon, complete with beach balls, umbrellas, surfboards, and seashells scattered among beautiful centerpieces – right in the greenhouse. 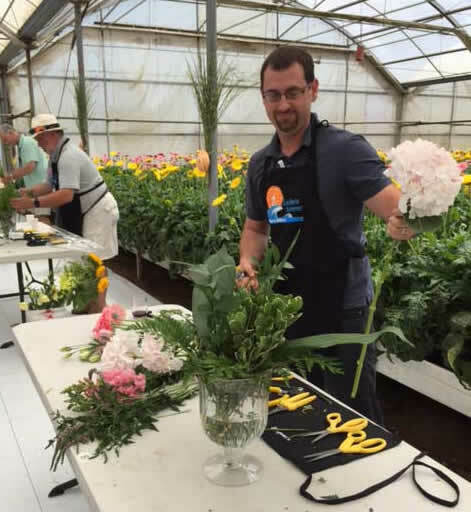 Not be outdone by rows and rows of stunning flowers, uBloom’s J Schwanke organized the first ever Fun ‘N Sun Flower Power Celebrity Floral Design event during lunch. Rookie designers tackled arranging an assortment of stems and foliage in a timed contest decided by audience applause. Below, Courtney Hill (Vans/Kennicott Brothers in Grand Rapid, MI) is on his way to winning the competition. It was a great way to highlight flowers while having fun! The stunning Monterey Aquarium was the perfect setting for a delicious dinner among the sharks, sardines, and jellies. 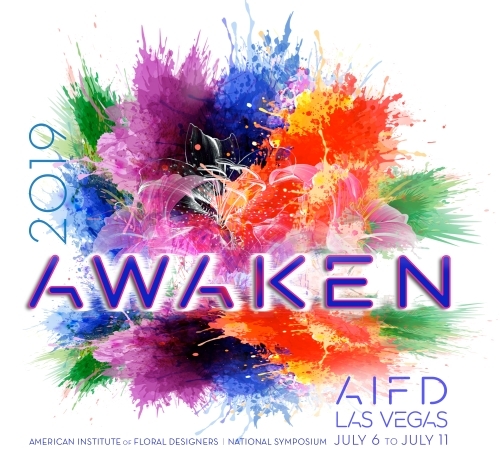 Friday saw the opening of the flower fair after educational sessions by Kasey Cronquist, California Cut Flower Commission; Brad Denham, Arizona Family Florist; J Schwanke of uBloom; and Joaquin De la Torre of Ball Seed and Robin van der Schaff of Flamingo Holland, Inc. The convention ended on Saturday morning with a Family Business Seminar facilitated by Kurt Glassman of LeadershipOne. Hotel Room Key Sponsor: Joseph & Sons, Inc.
Central California Flower Growers, Inc.
Dos Gringos, A Flower Company • Ever-Bloom, Inc. Priority One Flower Shippers, Inc. Comments on "Record Numbers at CalFlowers Fun 'N Sun Convention"